Maps at bottom of this page. Go northeast on Hwy 82 (Island Ave) to Island City. At the light in Island City turn left, following Hwy 82 (Wallowa Lake Hwy). Continue 12 miles to Imbler. Turn right on Courtney Ln, and quickly left on Pumpkin Ridge Rd. GROWISER is exactly 5 miles from there; sign is on the left. Turn right, south, go 0.25 mi. Enjoy life, you made it! IMPORTANT: Do not try to take Pumpkin Ridge Rd from Elgin to GROWISER! 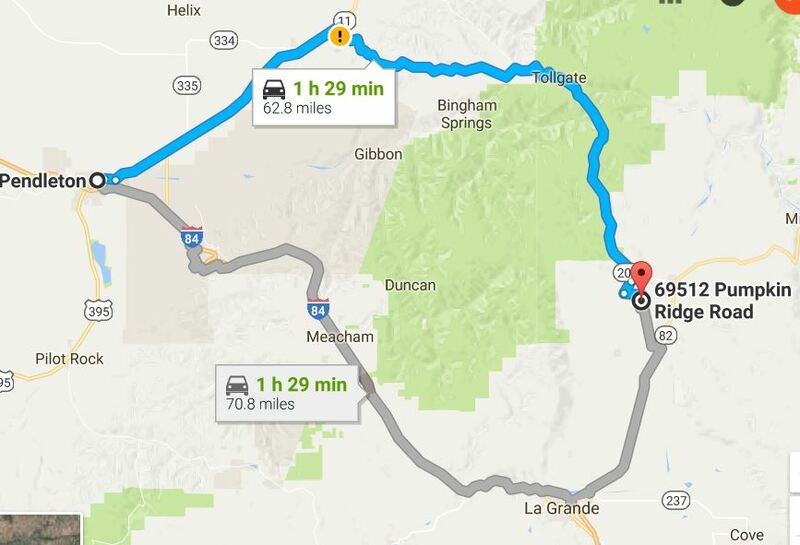 Two ways to get to GROWISER from La Grande. The preferred way, however, is on the map below. 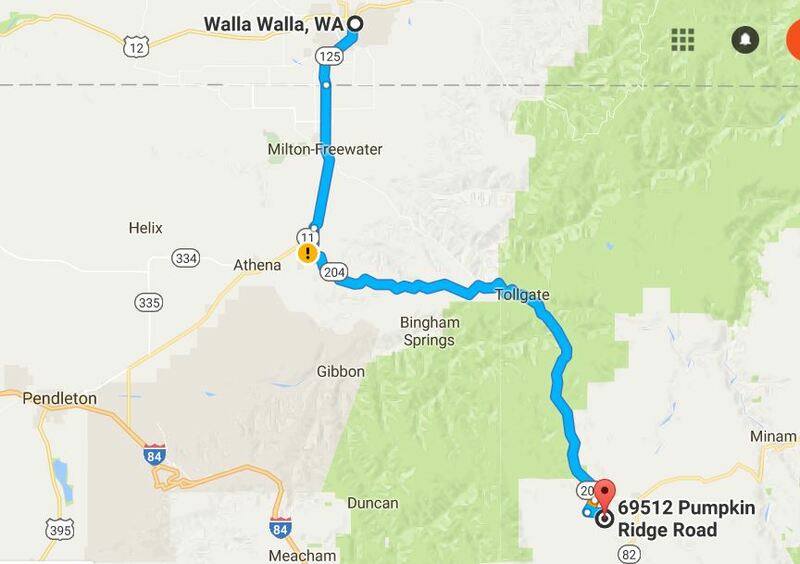 The blue line is the best way to get to GROWISER: from Imbler take Brooks Rd, right on Courtney, left on Hug, right on Pumpkin Ridge Rd. From Elgin, take Hwy 204 to the Summerville Rd, to Bean Coffin, to Pumpkin Ridge Rd. Note: DO NOT try to take Pumpkin Ridge Rd directly from Elgin...unless you have a jacked up 4-WD that is a competitive hill climber and rock hopper! Walla Walla to GROWISER. See above map for details. Pendleton to GROWISER. Blue is the preferred route. It is shorter, faster, has less traffic, and is much more scenic. For details, see two maps above.